Finance Minister Bill Morneau isn’t wading into the recent central bank tempest ignited by U.S. President Donald Trump, but noted that rising interest rates will lead to “some pain” for Canadian households. Morneau said in an interview with BNN Bloomberg’s Amanda Lang that despite the need for Canadians to closely monitor household indebtedness after the Bank of Canada hiked its key interest rate earlier Wednesday, the economy is growing at a “strong pace” that justifies the central bank’s latest move. “We always want to remind people that it’s really important to be prudent around their personal debts. That’s critical. People are experiencing some pain as a result of that,” Morneau said. The Bank of Canada unsurprisingly raised the overnight interest rate to 1.75 per cent on Wednesday, citing that the Canadian economy is more balanced and operating “close to its potential,” while revising projections for business investment and exports amid a new trade agreement with the U.S. and Mexico. The central bank also indicated that it expects at least three more rate increases to reach the so-called “neutral stance,” a monetary policy that is neither stimulative nor contractionary to the country’s economy and could stand between 2.5 per cent and 3.5 per cent. 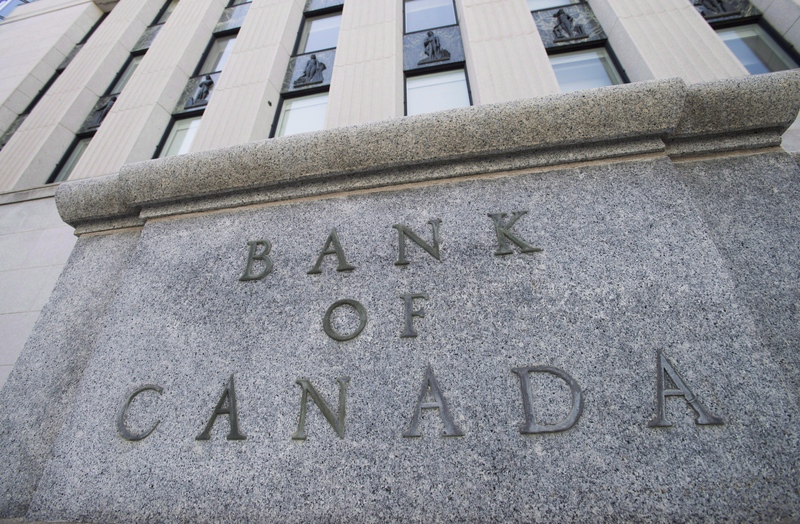 Wednesday’s decision was the fifth time the Bank of Canada raised interest rates since mid-2017. Morneau’s comments, however, contrast with Trump's ongoing willingness to question central bank policy. Trump levelled fresh criticism at U.S. Federal Reserve Chairman Jerome Powell, telling the Wall Street Journal Tuesday that Powell “almost looks like he’s happy raising interest rates” amid a period of strong economic growth for the U.S. The Fed has raised interest rates three times this year, including last month, and economists widely expect the central bank to lift rates again during its December meeting. Will you change any of your spending habits as interest rates rise? “Every time we do something great, he raises the interest rates,” Mr. Trump said, adding later that it is “too early to say, but maybe” he regrets nominating Powell for the head of the country’s central bank last November. Canadian politicians have traditionally avoided influencing or meddling with the Bank of Canada’s monetary decisions, a reflection of the central bank’s independence. In April 2016, Bank of Canada Governor Stephen Poloz hit back at suggestions that the central bank took forecasting directions from the Ministry of Finance. “The Finance Minister, sorry, is not my boss,” he told reporters at the time. In April 2011, former New Democratic Party Leader Jack Layton made waves during the federal election campaign when he said he would directly instruct the Bank of Canada to hold off on raising interest rates, remarks that he quickly backtracked from after drawing heavy criticism from the other major federal parties. Meanwhile, Morneau acknowledged on Wednesday that some businesses will need some time to adjust to the Canadian government’s new federally imposed carbon tax on provinces that haven’t set up provincially run carbon tax schemes of their own. “It’s real but it’s the way we’re going to price pollution for the long term,” Morneau said.